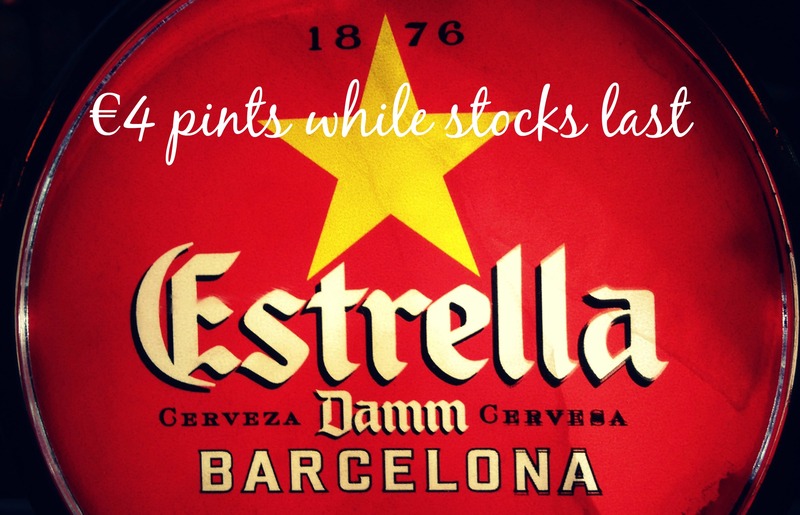 Have you heard of Estrella Damm, the Spanish pilsner style beer? It has been taking Dublin by storm in the last couple of months. It's a light, smooth and refreshing beer. Haven't tried it yet? Well no is the perfect time to try it as we are doing €4 pints of Estrella Damm for the month of February... or as long as stocks last! A bar on Baggot Street, Dublin 4 with a great range of craft beers, draft beers, cocktails & wine!